Happy Tuesday everyone! I’m actually typing this from a coffee shop in Brooklyn because I missed my flight back to Chicago…oops. This long weekend in New York was absolutely amazing. I made some new memories, ate great food, and saw beautiful sights. Luckily for me, New York had really amazing weather. Minus it being a bit chilly and rainy one day, it was 40’s and 50’s with lots of sunshine which is basically the equivalent of summer after living through negative temperatures in Chicago winter. While I do like to be “boujee” when I travel, I also like to do whatever I can to save money so that I can keep traveling. 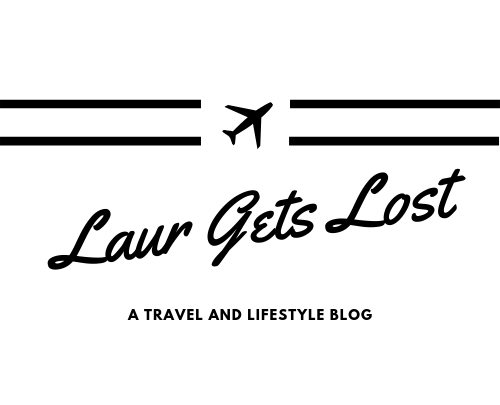 I talked about this in my last post about how I travel on a budget linked here in case you haven’t read it yet! For our stay in the city we did one night in a Manhattan hotel and then the other 3 nights in the cutest Airbnb in Bushwick, a neighborhood in Brooklyn. I highly recommend staying in this area if you enjoy street art and like hanging around locals instead of the tourist-y vibes of Manhattan. Bushwick has tons of nightlife if you like to go out but also has tons of options for food from your typical NY pizza to Pan Asian hole-in-the-wall places. The neighborhood is very safe and family oriented which I really liked because it’s nice to see how others in the area live and what they like to do. In Manhattan, we stayed in the Hyatt House Chelsea/Soho and loved it! They offered free breakfast which was great because I was able to snag some snacks for the day, and the views from the rooms were breathtaking. On the first night of course I had to make a VERY QUICK stop in Time Square. 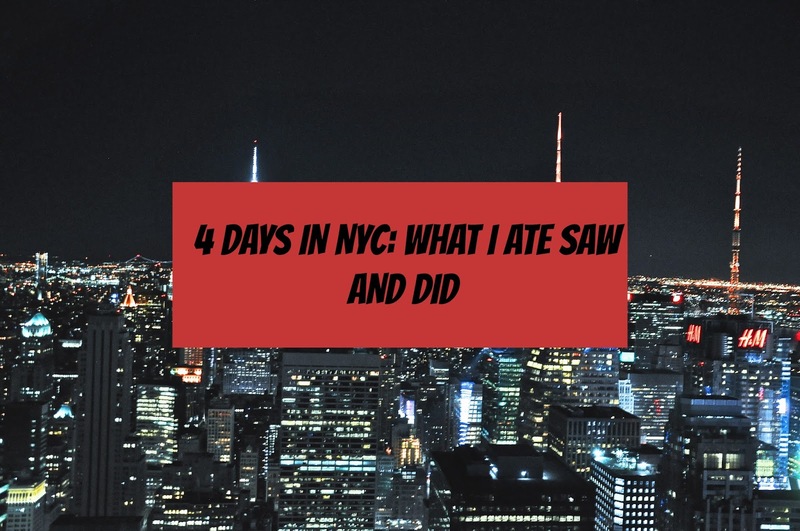 I only did this because I haven’t been to New York since I was literally 12 so I just wanted to see it one more time for memories. If you have been to Time Square before, there’s honestly no reason to see it twice because it’s a huge tourist trap. After Time Square we headed to the famous Joe’s pizza for a slice of NY pizza. Joe’s is perfect if you aren’t trying to spend a lot but still get a really good meal. It’s fresh and classic NY pizza so not much more you can ask for. We called it a night early, but the next day we got up early and made our way to Soho, a huge neighborhood known for it’s shopping and affluent residents. Soho is adorable, but a little stuck up in my opinion. Still, it was a super cute place to window shop and walk around. After a few hours in Soho, my friend and I made our way to Little Italy. You can lyft there if you prefer a faster route, but personally walking was my favorite part. You’ll get to see cobblestone streets, little pop up stands with everything from mugs to handmade jewelry and t-shirts. There’s also lots of aesthetic coffee shops on the way which I definitely appreciated. I’m a self-proclaimed soft serve addict so on our walk through little Italy I had to make a stop at Milk and Cream Cereal Bar. This is actually one of the coolest food experiences I’ve seen. Basically you go in and they have tons of cereal, so you choose your ice cream and cereal and they blend it. Then they top it with anything and everything you could ever want and swirl it into a little cone or cup. Now this place is a bit pricey for ice cream not going to lie, however I feel it’s an experience worth having. Next on our list was Greenwich Village. Greenwich Village is literally my favorite part about New York. The neighborhood itself is so friendly, there’s so many parks and great places to eat. We were in Greenwich Village a couple times throughout the trip because we just couldn’t stay away. Our favorite restaurants there would have to be Rossopomodoro a classic Italian pizza and pasta place, and Big Gay Ice Cream. Big Gay Ice Cream is a soft serve ice cream shop adjacent to Stonewall in. Before dinner, we finished up our time in Manhattan by taking a stroll through Central Park. After our stroll we headed to Brooklyn for some Mexican food. We ended up going to this little hole-in-the-wall called Los Hermanos. This place was super close to our Airbnb as well which made it convenient for us. As I said before our Airbnb had tons of restaurants in the area so if you’re considering staying there some of our favorites were King Noodle (Pan Asian, amazing wings), Knickerbocker Bagel, and Dweebs (coffee). While in Brooklyn, we stopped at Smorgasbord. Smorgasbord is a outdoor market hosted every Saturday in Williamsburg and had been on my bucket list for AGES. They have everything from edible cookie dough, to Thai fried chicken, to artisan fries. It’s also really close to a lot of clothing and book stores so after you’re finished it’s nice to window shop in the area. We also made a stop in Dumbo so that we could walk across the Brookyln Bridge and get some views of Manhattan. So overall, it was an amazing long weekend in New York City. I didn’t include everything we did or else this post would’ve been a book so if you have any questions let me know! I’d also love to see some suggestions from fellow bloggers who have visited or lived in the city! Have a great day, loves!